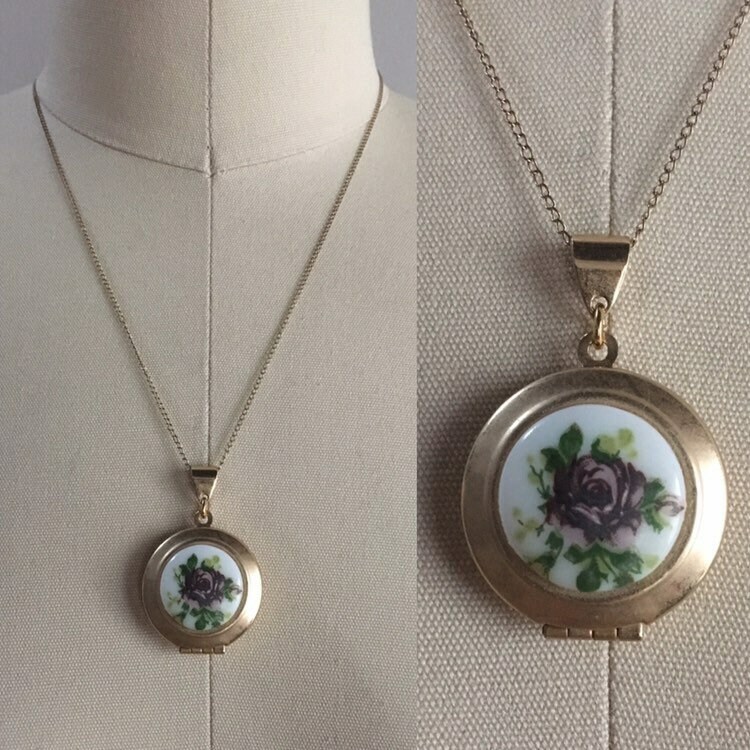 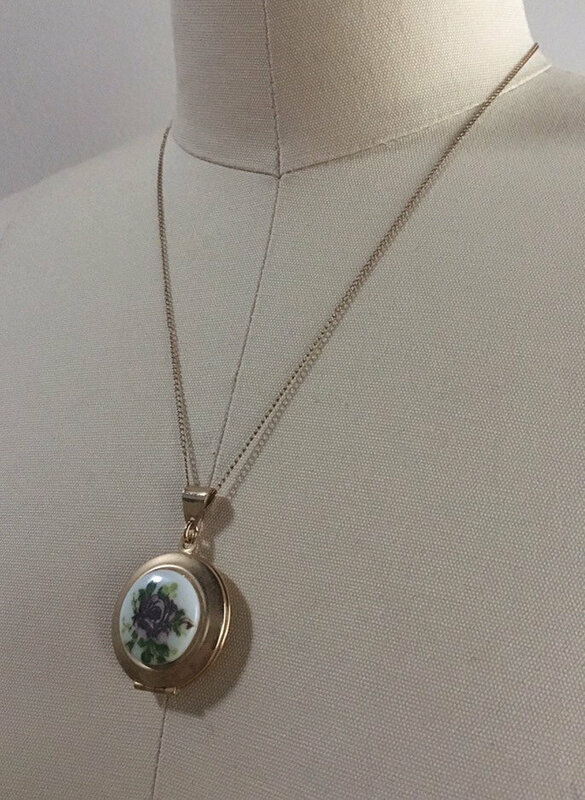 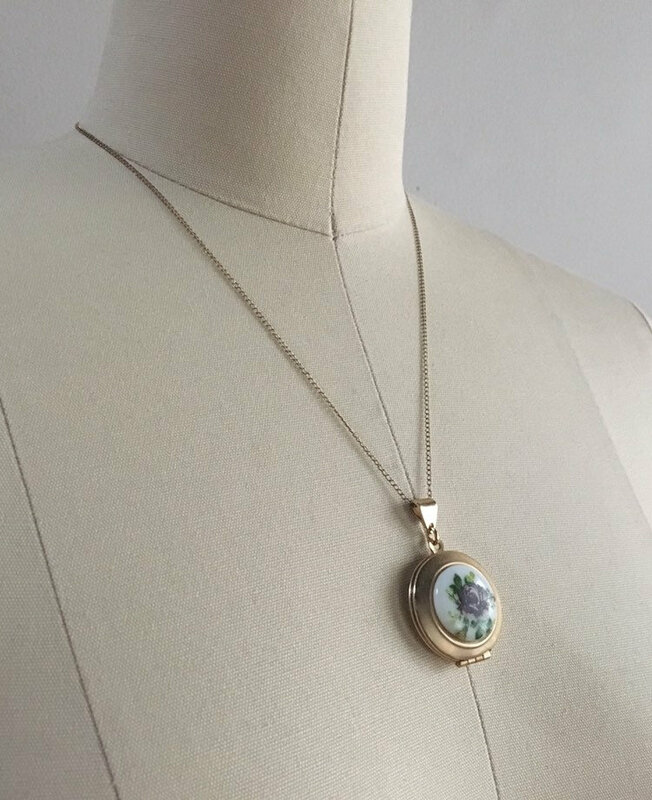 Vintage 1960s gold-tone metal, circle-shaped locket necklace on a thin, curb-style chain with purple rose detail on front. 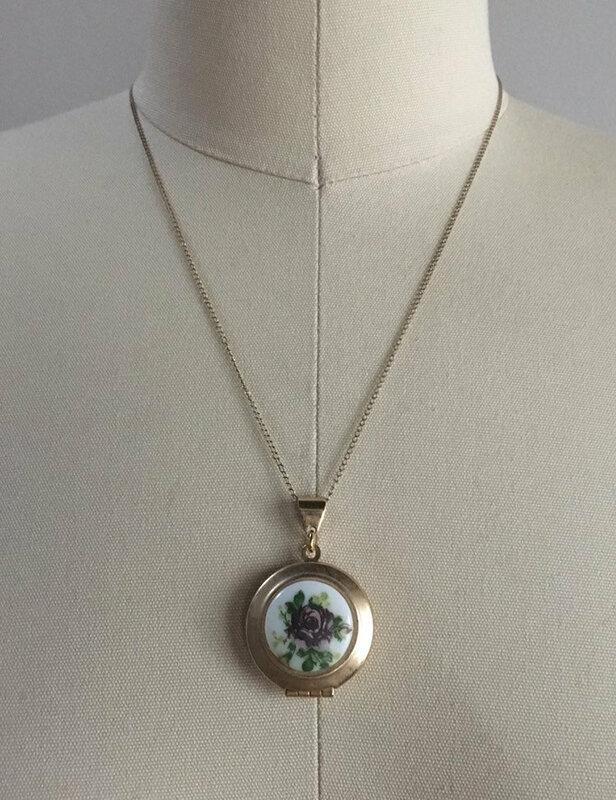 Near vintage condition; light wear from age and use. 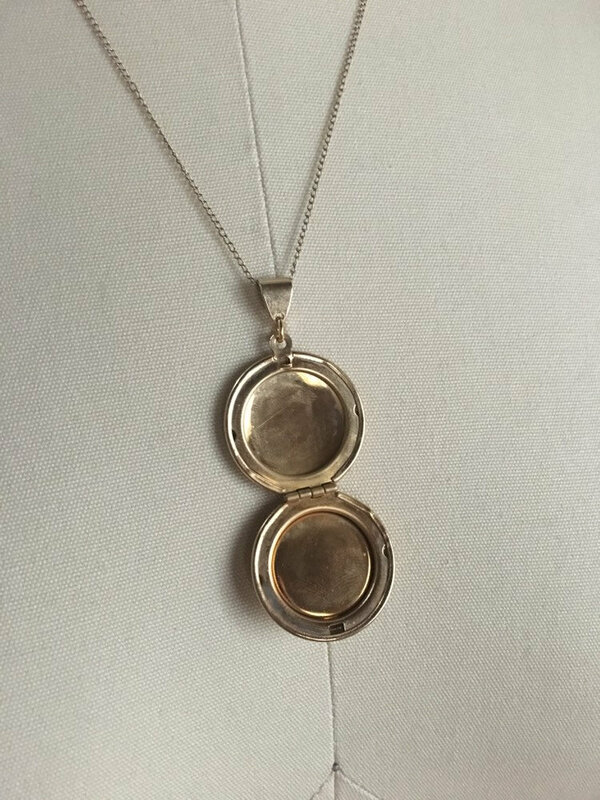 No rust, deep scratches, chipping, fading, areas of discoloration or other issues other than noted. 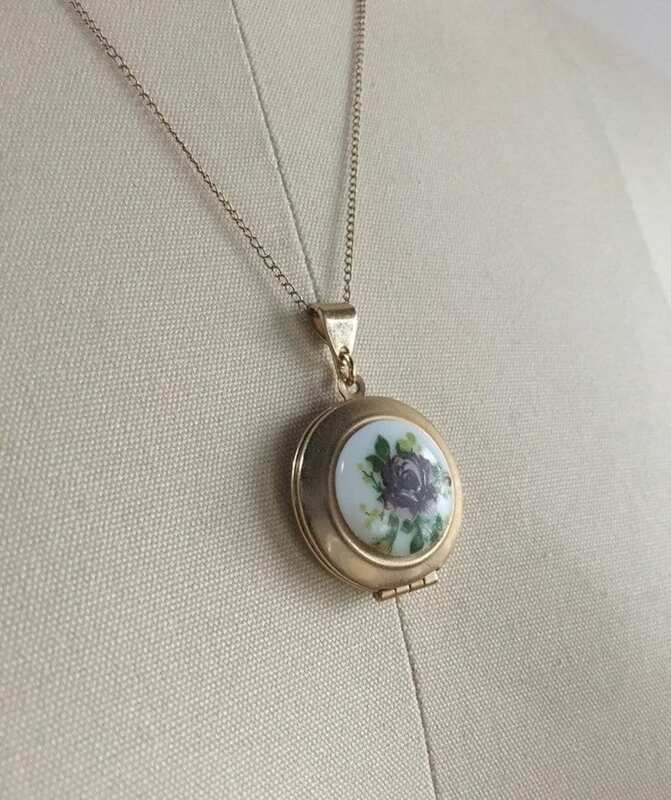 White circular button / panel on front with purple rose and green leaves surrounding it. 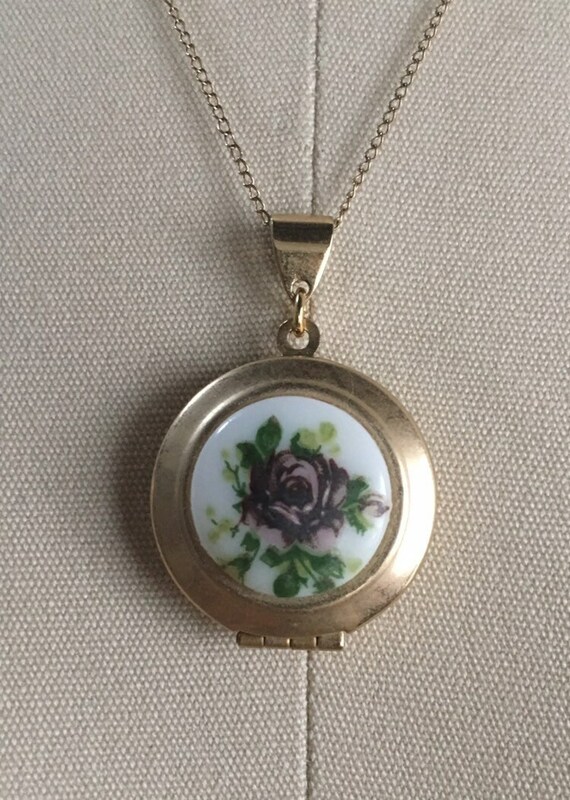 No visible damage to image; rose looks clean, crisp and bright. 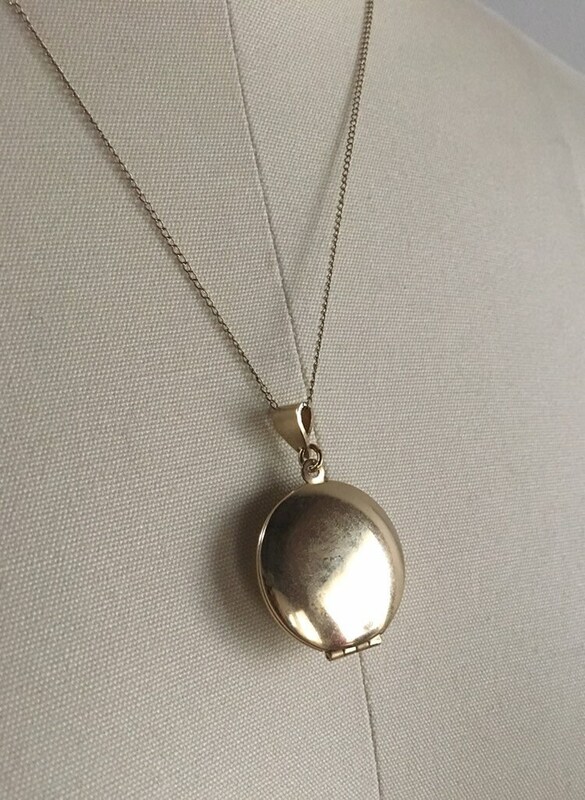 Thin, curb-style chain has spring ring clasp in back. 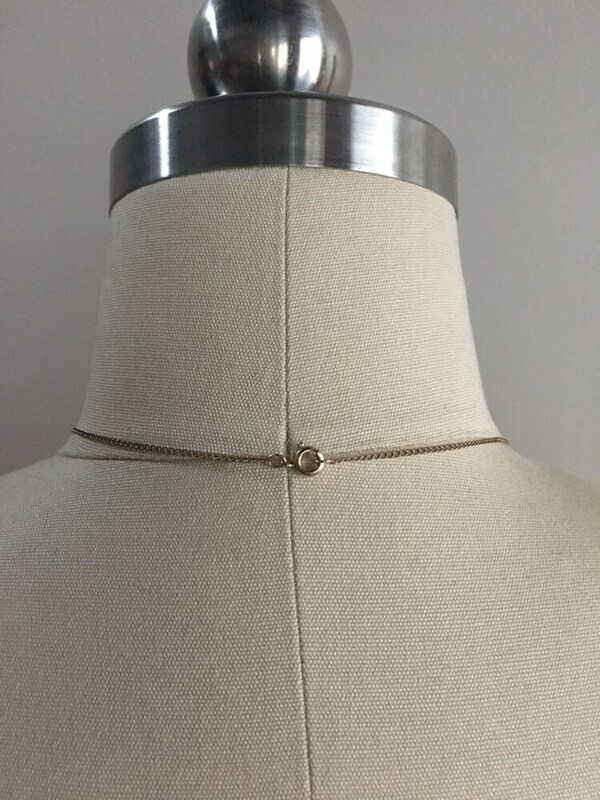 No brand marking or visible maker's mark.